The Irish Travel Agents Association (ITAA) has issued advice to Irish holidaymakers travelling to Barcelona or anywhere else in Catalonia. The advice follows the action taken by Spanish prime minister, Mariano Rajoy, to impose direct rule on Catalonia after the region officially declared independence from Spain last week. 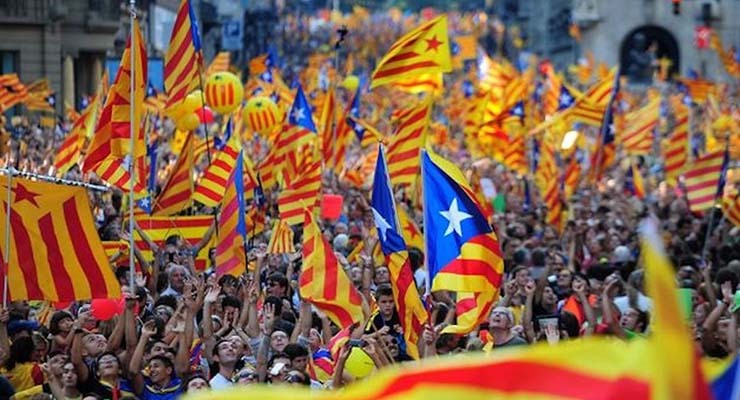 The move by the Spanish Government to sack Catalonian leaders and impose direct rule has sparked fear that there will be civil unrest and violence across Spain in the coming days and weeks. Irish tourists have been warned that it could affect them. However, the ITAA’s Barcelona travel advice advises says that visiting the region should still be safe if they take certain precautions. Consult with and follow the advice of their travel agent or tour operator. ‘Demonstrations may also cause some disruption and delays to transport services,’ he also advised. Mr Meehan will travel to the region today (Tuesday) with Pat Dawson, CEO of the ITAA. They will meet with local tourism authorities, management and operators to ensure that the area remains open to Irish people and, indeed, all tourists. The ITAA also recommends that holidaymakers check the Department of Foreign Affairs’ website for further Barcelona travel advice before travelling. They also recommend that people download the Travelwise app, which is designed to help Irish citizens to stay safe and informed while travelling, living or working overseas. The unrest in Barcelona and wider Catalonia shows you can never tell what might end up going wrong when you make travel plans. That’s why it’s so important to get travel insurance for all your travels, to ensure you are protected against unforeseen events occurring. Choose single trip travel insurance if your trip is likely to be your only travelling for some time, or go for annual multi-trip travel insurance if you’re likely to do more travelling during the year too.